Anna Granlund grew up in the Swedish countryside. She was always drawn to the French culture, which is why she spent a year in Paris after high school. On her return to Sweden she started an international business program in which she travelled back to France for several longer periods and on completion of her Master’s degree in Business Administration and Marketing she returned to settle in the south of France, where she still lives with her family. 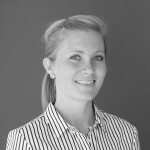 Anna started her yachting career as Charter Manager with Camper & Nicholsons in 2005 and joined IYC in 2008 as the Charter Manager of the Monaco office. In few years Anna has developed the Monaco charter fleet into a respected fleet of almost 20 yachts. She considers each yacht a separate business unit, each with specific requirements and individual targets. Over the years Anna has gained a vast understanding of the charter industry. She values direct and honest work relationships and has gained the trust of many Owners, Captains and Brokers. Anna is trilingual and speaks English, French and Swedish. She is an individual member of MYBA (The Worldwide Yachting Association).